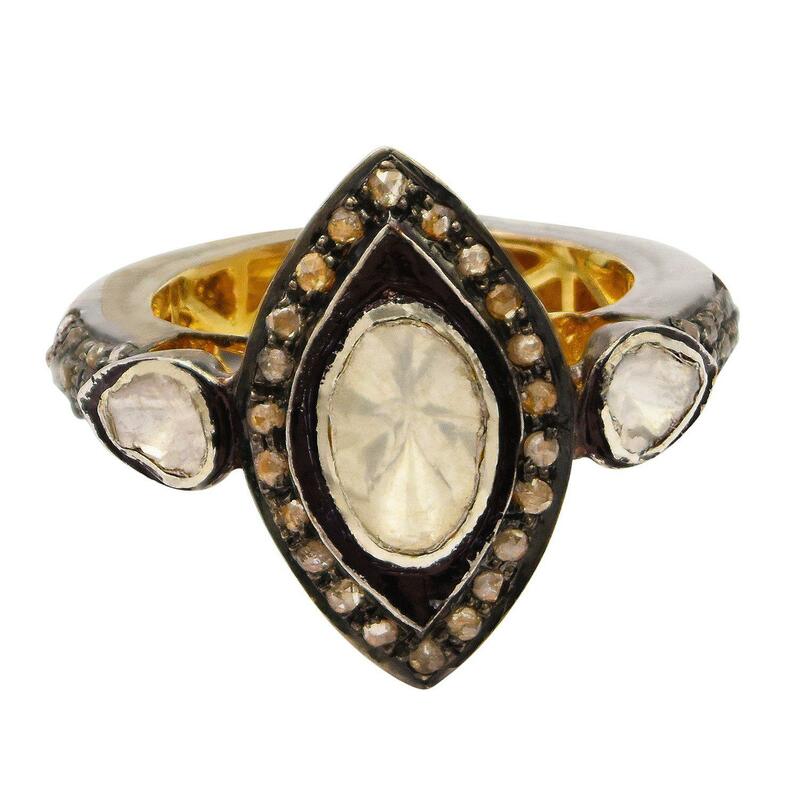 One electronically tested silver and gold ladies custom cast & assembled diamond ring. The ring features an illusion set diamond set within a diamond bezel supported by diamond set shoulders, completed by a three and one-half millimeter wide band. Bright and anodized finish. Condition is new, good workmanship. Three illusion set tablet cut diamonds (depth est.) approximate total weight of 3 Stones = 0.30ct. Graded in the setting. Fifty bead set rose cut diamonds, measuring 1.40 - 1.00 x 0.74mm (depth est.) approximate total weight of 50 Stones = 0.35ct. The group is composed of a mix of natural faint and very light brown color diamonds. Graded in the setting.